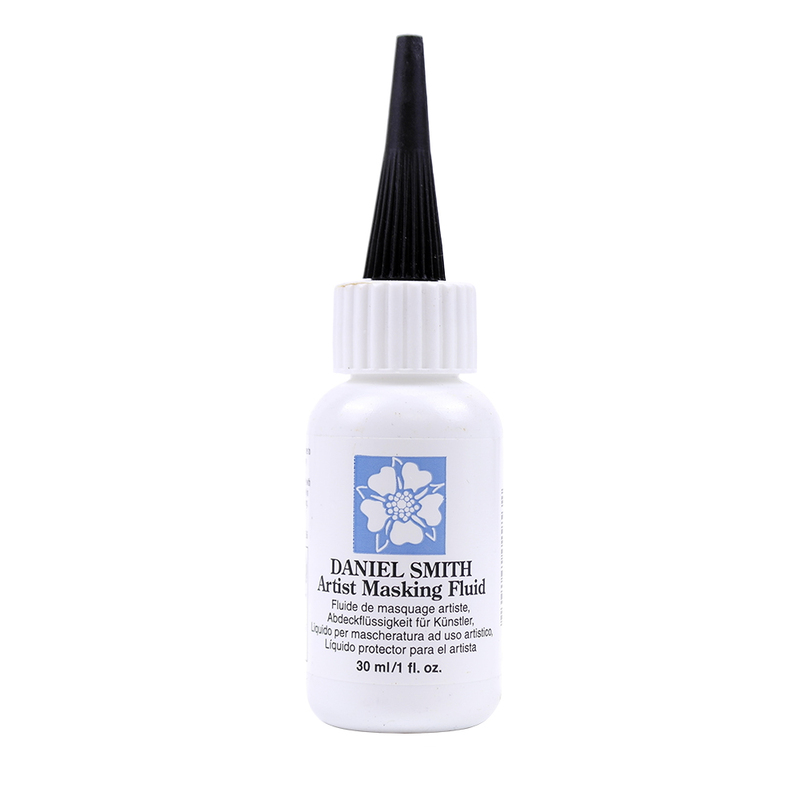 Daniel Smith's Watercolour Masking Fluid is easy to use with the bottle applicator, the included 5, fine-point applicator tips or with an inexpensive brush. Masking Fluid makes an impervious barrier to protect your watercolour paper and preserve the white areas by blocking watercolour washes from flowing into areas you don’t want leaving crisp, clean edges. This Masking Fluid applies as an off-white colour and dries to a transparent caramel colour so that you can see it while working, and still be unobtrusive while working on your painting. Easy to remove when Masking Fluid has dried with a rubber cement pick-up or even with your clean fingers. Be careful though, about leaving oils from your fingers when rubbing off the dried Masking Fluid, oils from your fingers can interfere with new applications of watercolour. Once the Masking Fluid had been removed, either keep the white areas white or add fresh watercolour onto the preserved white area to retain maximum watercolour luminosity.